In 2018, California’s Division of the Occupational Safety and Health Administration (CalOSHA) investigated claims that the Tesla auto manufacturing factory in Fremont was hazardous for workers there. This has prompted many workers, advocates, and agencies to consider – at large – are auto factories in California safe for workers? In 2017, there were 3,400 nonfatal injuries in the transportation manufacturing industry. The incidence rate is higher than among most manufacturing industries. That accounts for 6.7 injuries among every 100 workers. The average for all industries is 3.3 injuries per 100 workers. These injuries cause millions of injuries each year. Many of these injuries have long-term impacts, or can even result in permanent disability. 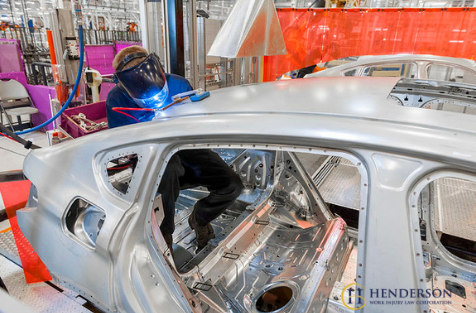 The National Highway Traffic Safety Administration (NHTSA) and the Environmental Protection Agency (EPA) are among the agencies working to improve safety for auto factory workers. Environmental responsibilities are said to be a public health and welfare issue, and that seems to include workers in the industry. Injured While Working in an Auto Factory? If you have been injured while working in an auto factory, you may be entitled to workers’ compensation benefits. Find out what sort of coverage you are entitled to by contact Henderson Work Injury Law Corp. today. Spring has officially sprung here in Southern California, and that means it’s time for spring cleaning. 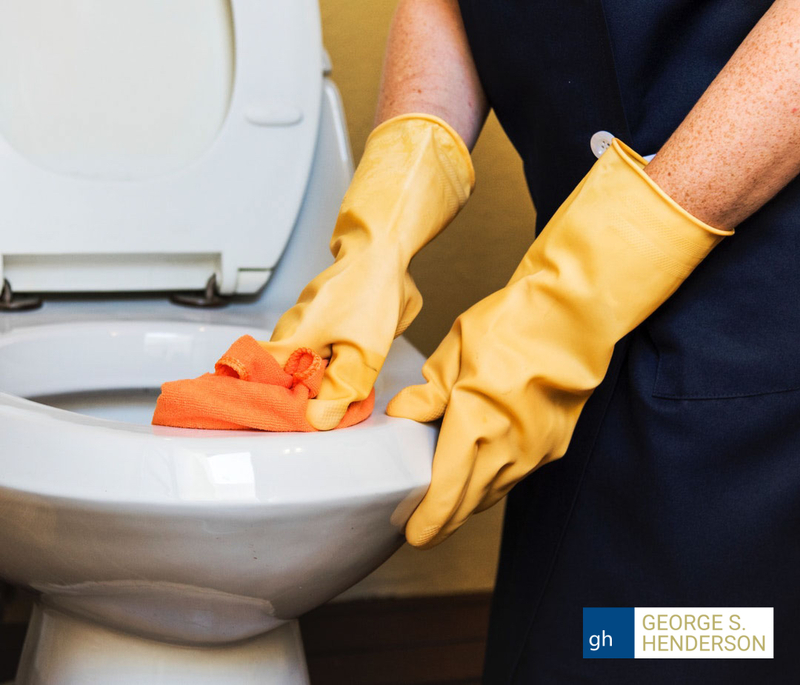 For most people, spring cleaning is not an event that sparks concern over one’s safety. However, as you clear out clutter, start landscaping, or reach for that extension ladder, consider these tips for spring cleaning safety. Clear Clutter – As you clear out clutter from your home, clear out the clutter than cleaning may cause. Pick up stray objects, piles, or trash bags out of walkways. Follow Instructions – If you are using a mask, cleaning product, paint, or chemicals, make sure you follow instructions carefully. 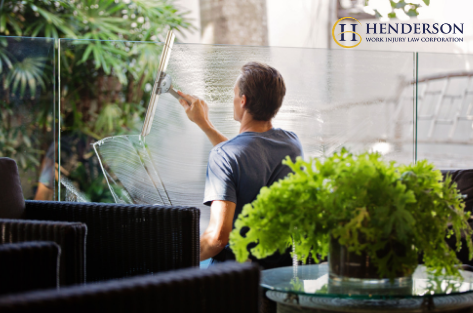 Ventilate – While cleaning with chemicals or painting the interior of your home, open windows to ensure proper ventilation. Store Hazardous Items – As you complete your to-do list, make sure to put away any cleaning products or hazardous items out of reach of little hands and pets. Climb Carefully – If you need to reach an object or surface, use an appropriate stool or ladder. Never use a chair, table, or stacked objects to reach. Get someone to hold the ladder for you if you are reaching a really high area. Empty Buckets – Make sure all buckets are empty when you are done cleaning. A bucket of water is deep enough for a small child to drown. Buckets with cleaning solutions can also be harmful if ingested by a child or animal. On a daily basis, we are exposed to marketing and advertisements for the latest and greatest trends in health and fitness. Diets, exercise, supplements, surgeries – all ways to take care of our bodies. But what about our mental health? Consider the following statistics. 80 percent of American’s feel stressed. 25 percent of Americans feel their job is the primary source of stress. 26 percent of Americans feel “burned out”. 25 percent of Americans have felt like “screaming or shouting” due to job-related stress. 14 percent of Americans report have felt the urge to hit or strike a coworker in the last year. Americans are, apparently, chronically stressed. So what can we do to relax, de-stress, and improve our mental health? Talk About Your Feelings – Talking about what is stressing or troubling you can help you find solutions and let go. Stay Active – Regular exercise boosts self-esteem, releases endorphins, and helps you sleep better. Exercise helps your brain and vital organs function properly, which extends into your mental health. Healthy Diet – When you feed your body, you are also feeding your mind. Your brain requires healthy nutrients in order to function properly, as do your vital organs. Drink Responsibly – While having a glass of wine may help you relax, drinking too much can have a negative impact on your mental health, and your physical health. Alcohol can be depressive, and can have a long-term impact on brain health. Take a Break – When you feel stressed or burned out, take a break. Sometimes a change of scenery – even a short one – can help you reset and improve your mood. By taking care of your mental health, you are improving your overall quality of life. If your Department of Veterans Affairs (VA) disability claim was denied, you may be discouraged and curious about what to do next. It is quite common for initial disability claims to be denied, and the good news is that you can file an appeal. 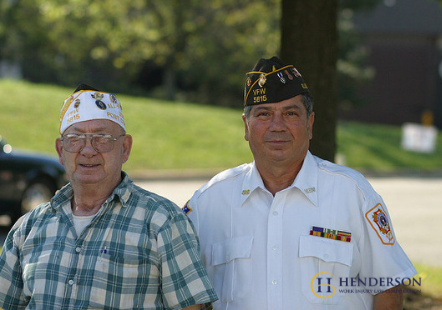 The appeal process begins with a Notice of Disagreement (NOD), a document you file with the VA.
Like any claims process, there are steps you must follow, and certain paperwork you must complete. Below is some helpful information for completing your VA disability claim appeal. Deadlines: There is a one-year deadline for appealing a claim denial. The one year period begins on the date the denial notice was sent to you, not the date you received it or filed an NOD. Forms: The appropriate form to use for an appeal is VA Form 21-0958. Using the wrong form will delay your appeal. Information: When you file the NOD paperwork, avoid the temptation to provide too much information. Yes, you are frustrated and you want an opportunity to express your thoughts. You will have the opportunity to express your disagreement. Providing too much information in the paperwork can also limit the appeal issues you may qualify for. Type of Appeal: You will have the option of choosing to appeal to a Decision Review Officer (DRO) or the Board of Veterans Appeals (BVA). If you choose the DRO, he or she can make a decision without a BVA review. If you are denied again, you still can appeal to the BVA. If you appeal to the BVA, you may not have the opportunity to appeal again. Filing: Sign the NOD paperwork and make a copy for yourself. The original should be filed with the regional VA office indicated on the denial letter. Send the NOD certified and request a receipt. 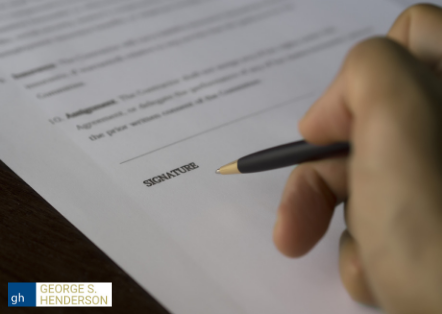 If you have questions or are unsure of your legal rights, contact The Law Offices of George S. Henderson for help. Workers’ compensation is a type of insurance, and therefore is governed and monitored by agencies that oversee insurance claims. According to the Coalition Against Insurance Fraud, tens of billions of dollars are stolen each year in the U.S. due to fraudulent workers’ compensation claims. What are Fraudulent Workers’ Compensation Claims? Bogus Claims – Employees make claims for injuries that never happened in order to cash in on benefits. Stolen Premiums – Business owners illegally reduce workers’ compensation premiums they owe. This is often done by establishing fake businesses or falsifying tax records. Crooked Doctors – Sometimes doctors will help falsify records in order to scam insurance companies out of money. They may team up with other doctors, patients, or even lawyers to inflate prices and then skim off profit. Doctors sometimes also file insurance claims that are false. Workers compensation claims that are fraudulent hurt everyone, and have a lasting impact on the system. Whether you are an injured worker, a business owner, or an insurance adjuster, any signs of a fraudulent workers’ compensation claim should be immediately investigated. Fraudulent claims can make it more difficult for the injured to get the benefits they are entitled to. Employers can help prevent fraudulent claims by understanding legal guidelines and educating their employees. Employees can help prevent fraudulent claims by following proper protocol, and reporting any illegal actions taken by their employer. Employees have a right to workers’ compensation benefits for legitimate injuries. What Can Happen if You Delay Your Workers’ Compensation Filing? If you have been injured on the job, you have a lot on your mind. Of course, you are concerned about your health and getting treatment for any injuries. You are also likely concerned about finances, insurance, and getting back to work. With all of this on your mind, it can be easy to lose track of paperwork, such as your workers’ compensation application. Unfortunately, forgetting to file your workers’ compensation claim can impact your benefits, and when you get them. Like most claims that move through any legal or formal process, workers’ compensation claims follow a series of steps. It is important to act quickly when filing a workers’ compensation claim to avoid potential obstacles to getting the compensation you need and deserve. What Happens When a Workers’ Compensation Filing is Delayed? In California, workers’ compensation claims must be filed within 30 days of the injury occurring. The exception is if the injury or illness developed over time, such as an illness acquired from exposure to toxic chemicals, or repetitive stress injuries. In these cases, the deadline generally starts from the date that you discovered the injury, such as when you were diagnosed. If you miss the 30-day deadline, or are late, you may find your claim denied. Many insurance companies will deny claims if the injuries were reported after the deadline. In these cases, you may need to file an appeal, or take additional steps to be eligible for benefits. Your employer witnessed or knew about your accident. You have a legitimate reason for not reporting the accident to your supervisor immediately, such as incapacitation. Your employer did not suffer harm because of your failing to notify them. Your employer did not inform you, or post, policies related to workers’ compensation rules. Every case is different, and it is impossible to guess whether or not your claim will be denied or further delayed if you miss the deadline. 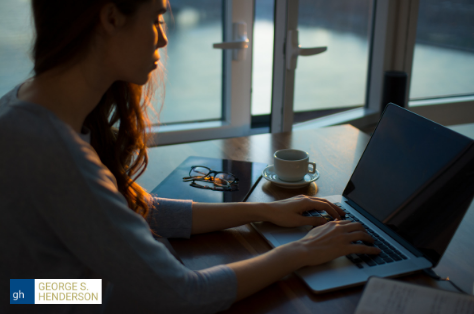 The best course of action is to contact a California workers’ compensation attorney to find out your best options to get benefits. Can Workers’ Compensation Benefits be Taxed? 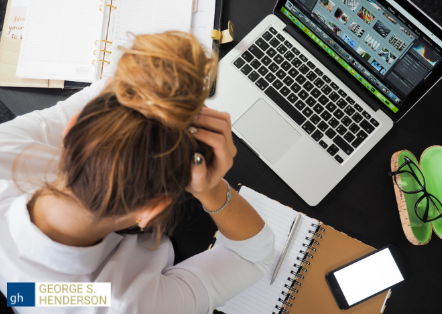 It is tax season, and with that comes the stress of gathering and filing documents and asking yourself numerous questions about what you need to claim, how you need to claim it, and whether certain benefits or income can be taxed. If you suffered a workplace injury during 2018, you are likely questioning whether workers’ compensation benefits can be taxed. Let’s take a look. Workers’ compensation benefits that are paid to a surviving family member are also exempt from federal taxes. Yes. If you also receive Supplemental Security Income (SSI) or Social Security disability insurance (SSDI), then your SSI or SSDI benefits may be reduced by the amount of the workers’ compensation benefits you are receiving. The amount that your SSDI or SSI is reduced would then be considered taxable. For example, if your SSDI benefit is reduced by $200, then that is how much of your workers’ compensation benefit would be taxable. Generally, individuals who rely on both SSDI/SSI benefits and workers’ compensation benefits will not have enough taxable income in order to owe federal taxes. Questions about Workers’ Compensation and Taxes? If you have questions about workers’ compensation benefits and your taxes, it is best to contact a workers’ compensation attorney to discuss your questions and concerns. 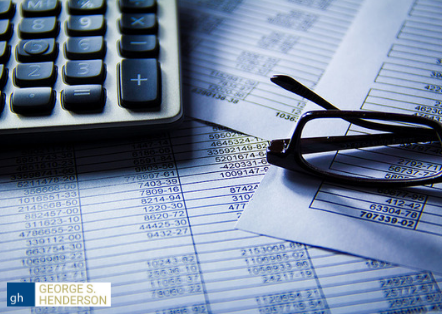 At The Law Offices of George S. Henderson, we can help you be certain that you understand how any benefits you receive will factor into your tax filing. Can you File a Workers’ Compensation Claim for Mental Anguish? While in most states you would have a particularly difficult time establishing that you suffered a psychological injury at work, California is a little different. In California, workers’ compensation does include coverage for “psychological injuries”. Unlike physical injuries, there are some special rules to establishing that you have a claim. Show that you have been diagnosed with a “mental disorder” by a doctor using accepted procedures. Show that, due to your mental disorder, you required medical treatment or are now disabled. This shows that you have missed work, or can no longer do certain tasks. Establish that you have worked for your employer for at least six months. There may be exceptions to this requirement if the injury occurred suddenly. Prove that your injury predominantly occurred as an “actual event of employment”. That means that your working condition was at least 51 percent responsible for your injury. If your injury was caused by a violent act, then the standard is 35-40 percent. There are a few hurdles to filing a claim for mental anguish. First, proving a psychological injury is much more difficult than proving a physical injury. You may also find that you are limited in the benefits you can receive because once you are removed from your job, your psychological condition may improve. There are also several scenarios that do not qualify for workers’ compensation, such as being laid off or being the subject of nondiscriminatory employer actions. Around 70 percent of Americans spend six hours or more sitting down each day. A great many of these individuals spend their sitting hours working behind a desk. While for many, a desk job is preferable to manual labor, there are risks involved in working in a sedentary role as well. According to a study in 2015, prolonged sitting may increase the risk of certain injuries and illnesses, including cardiovascular diseases and certain cancers. Working a desk job also increases the risk of neck and spine injuries. 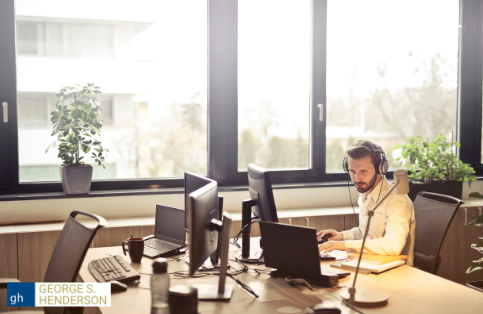 While sitting may seem more relaxing than standing or moving around, what many people fail to realize is that prolonged sitting can actually put stress on your spine and neck, including the discs. Neck and spine health are important for the overall health of your body and mind. Take measures now to prevent long-term damage and problems in the future. Can Domestic Workers File a Workers’ Compensation Claim? While the jobs performed by domestic workers are incredibly important, there is a disparity in how domestic workers are treated, and the benefits they are entitled to. A general search of workers’ compensation laws will tell you that domestic workers are not classified as “employees” and therefore, are most likely not eligible for workers’ compensation benefits if they are injured on the job. However, California is one of few states that offers some level of protection for domestic workers. Under California law, full time domestic workers may be entitled to workers’ compensation benefits, even if they are working for an individual and not a business. Inside workers (nannies, housekeepers, etc.) must work at least 20 hours per week to be considered full time. Outside workers (landscapers, etc.) must work at least 10 hours per week to be considered full time. If you meet all of these requirements, you may be able to file a workers’ compensation claim if you have been injured while on the job. Unfortunately, it can be difficult to determine whether you qualify, and if so, how to proceed. 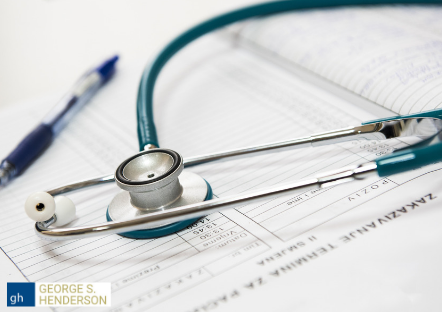 Contact the Law Offices of George S. Henderson to speak with our workers’ compensation attorney about your claim.